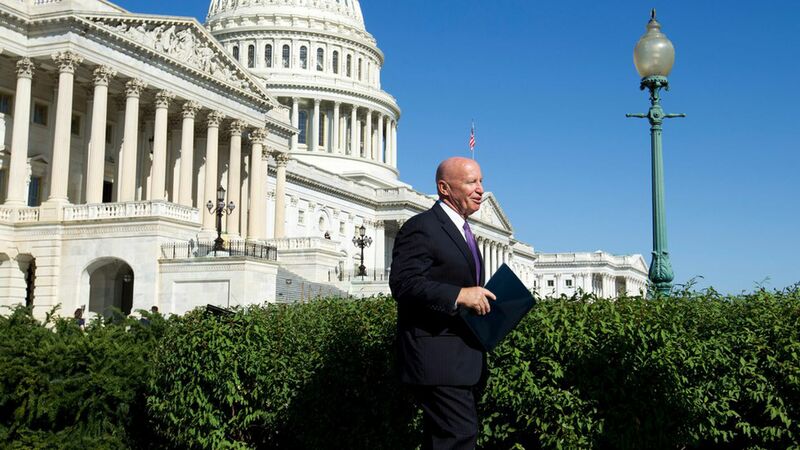 House Ways and Means chairman Kevin Brady suggested Wednesday that the tax bill he is planning to introduce next week could include changes to 401(k) plans and other retirement accounts, per the Washington Post. Why it matters: President Trump told Senate Republicans on the Hill yesterday that he ended the 401(k) debate and he tweeted Monday that there would be "NO change" to current the plans. However, some party members involved in tax reform policy are showing resistance. Get smart: Many GOP members are still interested in incentivizing people to use a Roth 401(k), in which the contributions are taxed, instead of a traditional 401(k) when contributions are pre-tax and the taxes are paid at the time of withdrawal. Why? Because the Roth plan would free up money now to help pay off the national debt that is expected to skyrocket with the administration's proposed tax cuts. Brady said during a breakfast hosted by the Christian Science Monitor that he's been "working very closely with the president," but added that many people who have tax-incentivized retirement accounts only contribute $200 per month or less, which he thinks is not enough. "We think we can do better," he said. "We are continuing discussions with the president, all focused on saving more and saving sooner." What's next: Brady's tax bill is expected to be released next week, though most of the details are still unclear. The GOP is hoping to get the bill passed by the end of 2017.